Krister celebrated his 30th birthday yesterday. We thought about going out and celebrating on the town, but then we remembered that we weren’t in our twenties any more opted for a low-key weekend at home. 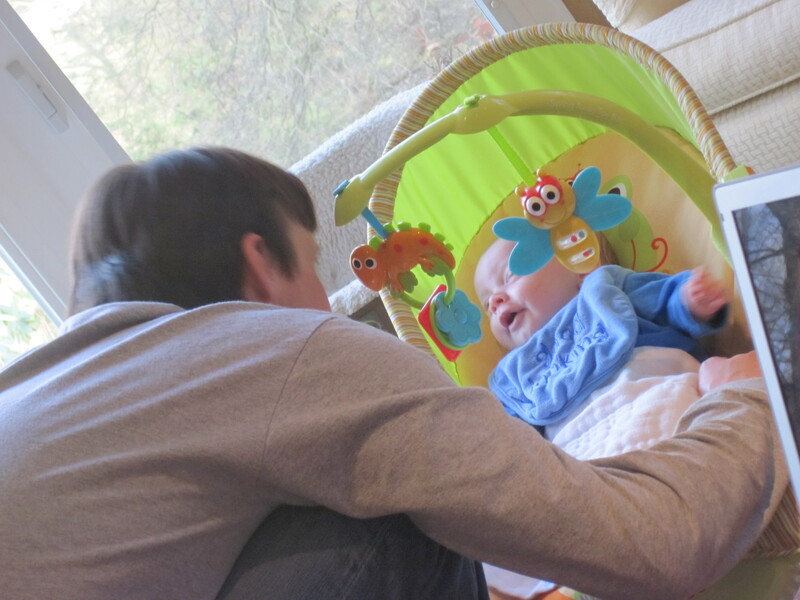 Krister spent some quality time with Kasen, worked on a few projects in the living room (posts to follow), and devoured a marble Bundt cake that Kristin baked for him. Here are a few photos highlighting the day. The first one features Krister playing with Kasen, whose favorite games right now are “make faces at me” and “talk with me”. 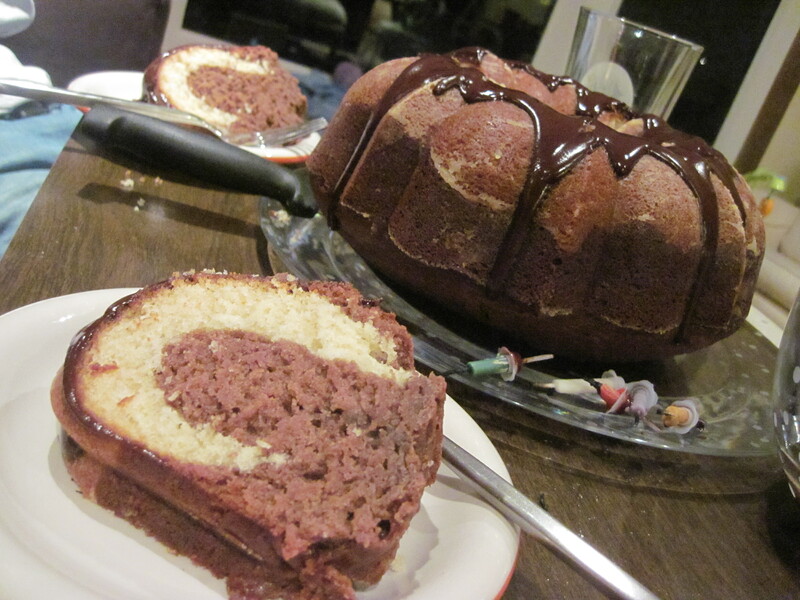 The second photo shows the marble Bundt cake that Kristin baked doused in a dark chocolate icing. Of course, Krister blew out the candles before we ate the cake. 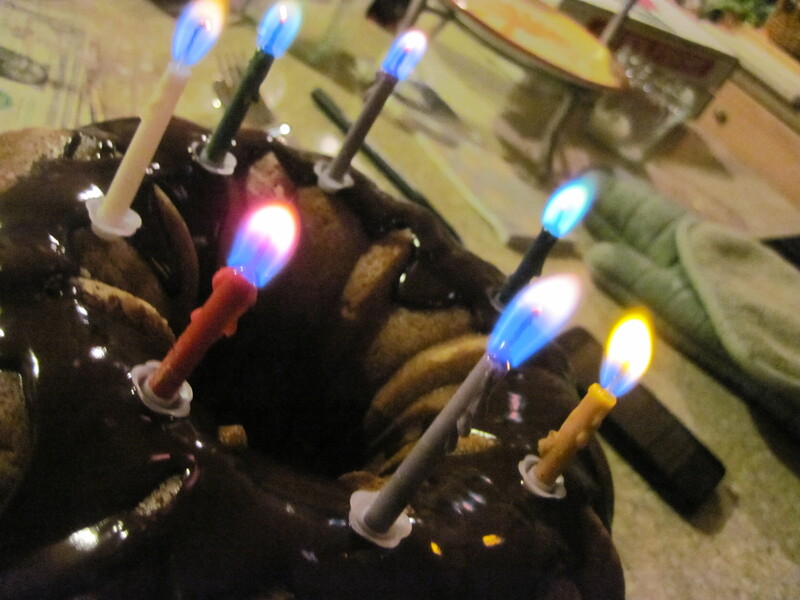 The candles had multi-colored flames! Sounds like a wonderful way to celebrate! Love those candles!